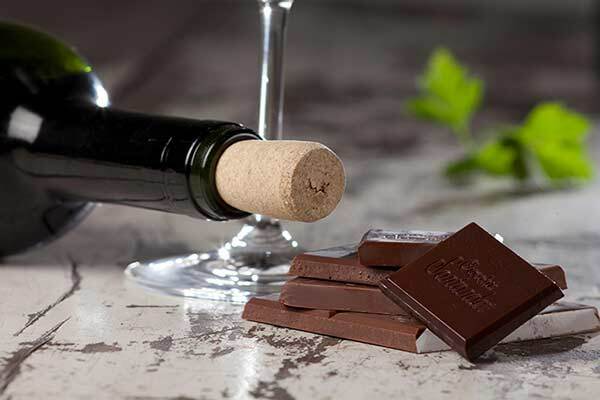 Una cata para deleitar los sentidos, en la que propondremos un maridaje entre vinos y chocolates. Espumoso, blanco y tintos armonizados con chocolates finos para que experimentes y explores sensaciones únicas en tu paladar. No es una cata clásica para enamorados. 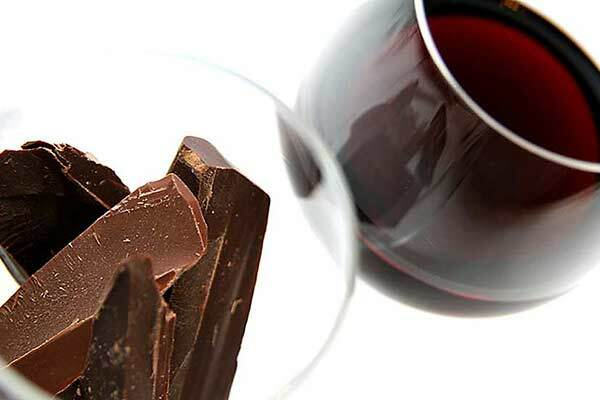 Es una cata para enamorados del buen vino y del chocolate de excepción. From hotel pick-up to drop-off, Jimena and team were just fantastic! She was thoughtful, accommodating and speaks great English! 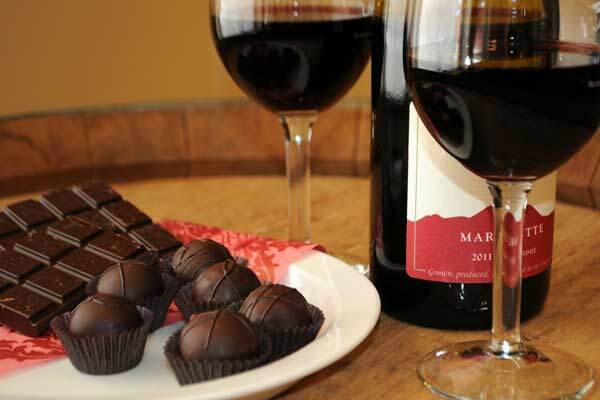 We really enjoyed the entire experience–the wine tour and tasting was great. We also had fun with a quaint and private stroll through Navalcarnero, including a wonderfully delicious and authentic lunch! Not a typical “tour” by any means–so very unique and genuine–we loved it! Well worth the cost. We enjoyed an amazing, informative wine tour with Jimena (the owner) as our guide. She was knowledgeable and a lot of fun for my husband, two adult and two teenage children to have as our guide. We were picked up directly at our hotel which was convenient. Our booking was last minute so it was fantastic that we were able to go on this day trip. The winery we visited was a 5th generation family. So glad we were able to fit this into our trip. So Memorable! Truly a must do! We enjoyed a very unique tour and visit to a family-owned winery. It was a perfect 1/2 day tip from the city. Great wine, great guide, lots of history and knowledge! We visited 3 vineyards in Madrid. Passion and Knowledge for wines are the main words that come to mind when I remember Jimena; she was an excellent guide to my family and friends. I recommend her 100% to do something different and unique in Madrid. My boyfriend and I did this tour together and we absolutely loved it! Jimena,the guide and owner of the company, made this tour personal and intimate. It was just the two of us and it was an up close and personal experience. We were able to see the vineyard, a historic cellar and taste the wines guided by a fifth generation wine maker. This experience is not something a large tour company with a lot of people would have been able to do. We highly recommend this tour. You will feel VIP!! My 3 nieces and I recently enjoyed the Half Day Wine Tour with Jimena and Colorful Wines. It was a perfect day trip from Madrid and we really enjoyed our time with the owner of a local generational winery. Jimena was knowledgeable and a great tour guide/translator for our time together. I would highly recommend Colorful Wines and Jimena for a future wine tour. Jimena set up a spectacular wine tour for my girlfriend and I at a small, 5-generation winery outside of Madrid. We saw everything that goes into winemaking, from touring the vineyard and tasting grapes to the bodega where the wine is fermented in huge clay tanks and finally to the ancient cellar where it sits in bottles. We finished our tour with a tasting. Jimena did a great job translating and answering all of our questions. Thanks Jimena! PERSONALIZED AND REWARDING! A ONCE IN A LIFETIME EXPERIENCE! Combining colorful wines, family traditions, and exceptionally educated and caring hosts, Colorful Wines has created a once in a lifetime tour experience. My wife and I loved the complete personalized atmosphere. From the 5th generation family owned and operated vineyard, to the history of the region, we were continuously impressed and inspired. Jimena and Colorful Wines’ knowledge of oenology was outstanding. AMAZING TOUR WITH COLORFUL WINES!!! Our hotel front desk personnel at The Mint recommended Colorful Wines and we are so grateful they did. My husband and I had a great time touring the Jose Diaz E Hijos vineyards, winery and tasting the fabulous wines. Our half day excursion was a great personalized tour with Jimena and her driver. We learned a lot of the area and the wines. JImena is so personable, knowledgeable and fun. I’ve been on a few wines tours in Napa and this tour was so much more than others.